* Dinosaur glider planes are flying Jurassic Reptiles! 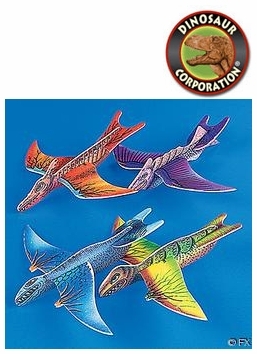 * These styrofoam dinosaur gliders require very little assembly while providing lots of fun. * Just attach the body to the wings and let it fly.